When you start your career in a complicated industry and are able to realize how much experience you don’t have in order to do it well, that’s admirable. To actually gather that knowledge and then come back is exemplary; that is exactly what Melody Koh did. After starting in venture capital after college, she didn’t think she was fit for the job just yet and wound up founding her own start up and, later, as head of product for Blue Apron. 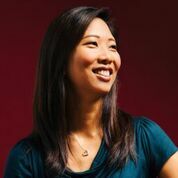 Now she is finally back to where she started, in VC, as a Venture Partner at NextView Ventures. Over Negronis at Fool’s Gold in Manhattan, she explains how each part of her career shaped who she is now and how it all prepared her for the dream career she would eventually have.